I love a good smoothie recipe but most of my favorites involve summer fruits. Berries and peaches and fresh tropical fruits make delicious homemade smoothies but they aren’t in season in September. 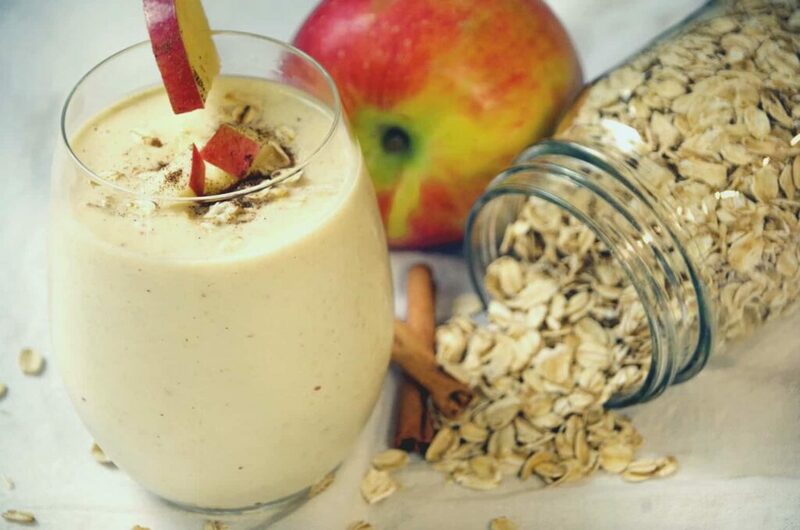 Fall is apple season so I decided to create this cinnamon apple smoothie recipe for breakfast today. It was a deliciously healthy smoothie recipe that took only minutes to whip up in my blender. If you are looking for more delicious oatmeal recipes, check out my homemade oatmeal cookie recipe! I grew up in New England so I can tell you right now that I am very picky about my apples. If you want to choose the juiciest apple, look for one that is heavier than it looks like it should be. Pick up apples, one by one. Toss it around a bit in your hand. Get a feel for how much it weighs. Compare a few in the batch and choose the heaviest one. That apple will be flavorful and juicy! What variety of apple should you use? Honestly, that is up to you. I would go with something sweet like a Gala or MacIntosh. Granny Smith apples are too tart and not juicy enough. Save those for baking. I don’t really care for Red Delicious that much. Just a personal preference. 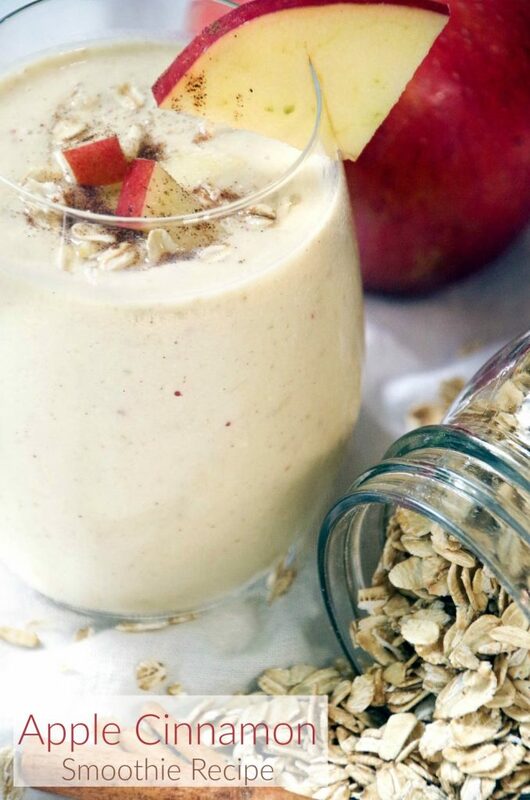 For this cinnamon apple smoothie recipe, you will need one large and very flavorful apple! Why Use Oatmeal in Smoothies? I have started to use oatmeal in smoothies occasionally to make it more filling. Sometimes when I make a homemade smoothie, I am hungry again an hour after I eat it! Using oatmeal in smoothies makes it stick to your ribs a little longer. 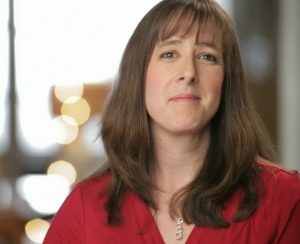 It also adds a bit more fiber which I think everyone can use in their diet. 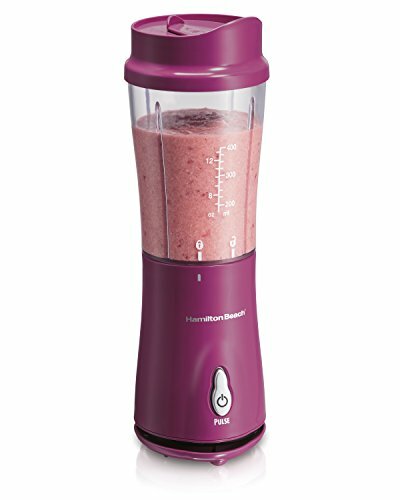 If you really want a totally smooth and creamy smoothie, you can grind the oats before adding them to the smoothie with a small grain mill or even a clean coffee grinder. If you don’t mind a bit more texture to your smoothie, just add the whole oats right to the blender with the other ingredients. For this recipe, I add a little apple cider to thin the smoothie out a bit. You can use apple juice or your favorite smoothie beverage (almond milk, coconut milk, etc) or even some coconut water. Just put everything in the blender together and puree! 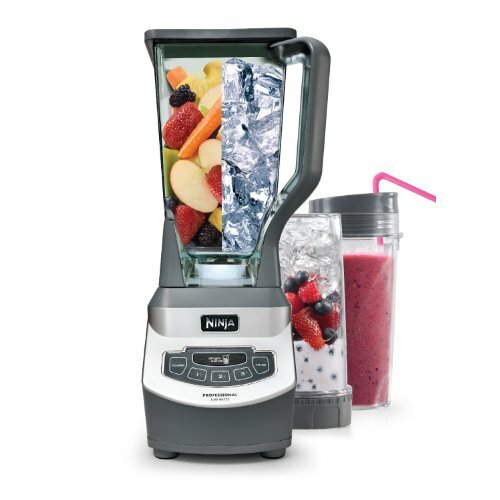 Place all ingredients in your blender or smoothie making container and puree until smooth. Sprinkle with additional apple bits, oatmeal and/or cinnamon if desired. 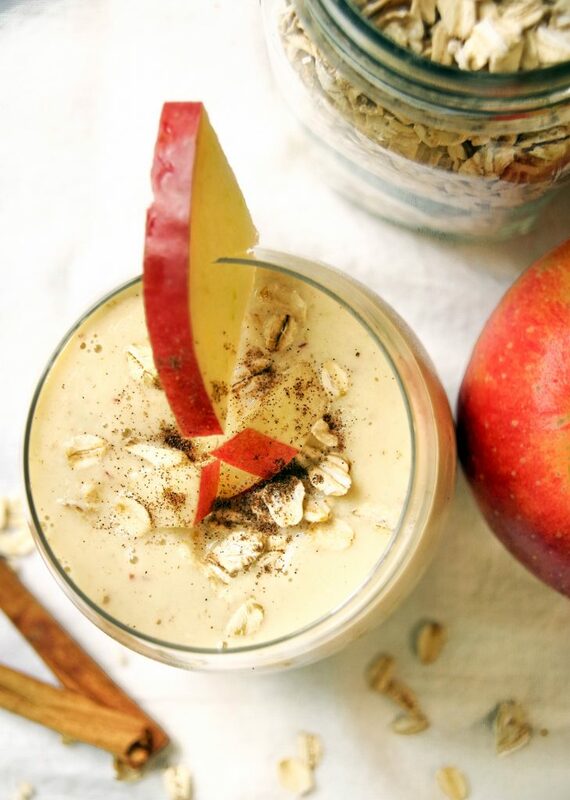 Like this cinnamon apple smoothie recipe? Pin it for later! I love everything cinnamon apple! Can't wait to give this smoothie a try! I'm a New England gal too and definitely picky about my apples. This recipe sounds amazing!! I'm adding it to my fall must make list. A good apple just really hits the spot...I hate when they are dry and mealy!